If you have recently moved into a newly built home that has defects you may need expert legal advice to help you claim compensation and damages in relation to the repair costs and losses you have suffered. The Property Litigation Team at Cohen Cramer Solicitors can provide the expert skill and advice you need to make sure that your house is your home. The expectation when spending a significant amount of money on a new-build home is that it will be immaculate and free of any defects. Unfortunately, the reality is that many home-owners become quickly aware that corners are often cut in the development of new build homes which results in serious, and in some cases dangerous, defects arising at the property which require an urgent resolution. These issues inevitably cause severe stress, worry and inconvenience in addition to causing the home owner to incur substantial time and costs seeking to resolve the matter. Our property litigation department specialises in acting for clients that have found themselves in these unfortunate situations and has a proven track record in achieving swift and favourable outcomes. In most cases, it is possible to resolve the dispute through negotiation with the developers and/or with the involvement of the NHBC (the UK’s leading new home warranty provider). However, where the developer is refusing to co-operate and/or NHBC is refusing to honour the terms of the warranty, the last resort would be to involve the Courts. 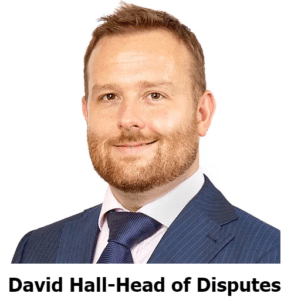 In any event, we have vast experience in all forms of Alternative Dispute Resolution as well as litigation in all Civil Courts in England and Wales. We are able to offer flexible funding options which may include “no win no fee” arrangements in certain circumstances.